Illegal dumping and littering are major issues in Townsville, you can learn more about it and the problems it can cause on this page. What is littering and illegal dumping? Littering: Litter has been defined as the deposit of waste at a place that is an amount less than 200L in volume. Common types of litter include cigarette butts, drink bottles, fast food wrappers, material from a trailer that is poorly secured, grass clippings swept into the gutter, fishing tackle. Dangerous Littering: Deposited equalling an amount less than 200L in volume, that causes or is likely to cause harm to a person or the environment. Such example include; throwing a lit cigarette onto dry grass in extreme fire danger conditions, smashing a glass bottle and leave the broken glass on a footpath, leaving a syringe in a public place other than in a container intended to receive used syringes. Illegal Dumping: Illegal dumping has been defined as the deposit of waste at a place that is an amount equalling greater than 200L in volume. Dumping is unsightly, degrades the local environment, reduces property value and costs rate payers a substantial amount of money each year to clean up. Illegal dumping includes items such as bags of rubbish, garden waste, building materials, household goods, abandoned cars, used tyres and hazardous waste. Contain broken glass, syringes, nappies, medical waste and toxic substances like asbestos. Attract rodents, insects and other vermin. Provide an ideal breeding ground for mosquitoes. Block waterways and stormwater drains, increasing the potential for flooding and erosion. Be a potential fire hazard. Other antisocial and illegal activities. Decrease community pride and intensifies the problem. Builds up next to roads, can block gutters and finds its way into creeks, rivers and onto beaches - it harms and kills wildlife for example, plastic waste can choke and suffocate birds and marine life. 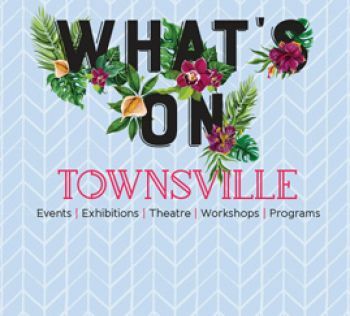 Even unlikely materials such as soil and garden waste contributes to litter and dumping issues within Townsville by spreading pests and weeds, including fire ants and lantana. Organic waste such as food scraps, contributes to algae blooms in waterways. Cigarette butts comprise of 90% waste littered from a vehicle. Plastic cigarette filters end up in waterways and can be swallowed by marine animals. These animals will slowly choke to death. Cigarette butts littered from motor vehicles can also start bush fires - costing lives and damaging property. Local governments and the Department of Environment and Heritage Protection (DEHP) have a shared responsibility for litter and illegal dumping enforcement. Authorised officers from council and Department of Environment and Heritage Protection (DEHP) can issue fines and direction notices for litter and illegal dumping offence. Step 1 Show Cause Notice: Before issuing a compliance notice, council will invite the offending person to 'show cause' why the compliance notice should not be given. The show cause notice will outline the facts and circumstances forming the basis for the belief that a compliance notice should be given. Step 2 Wait for Response: A response will be required at least 14 business days after the show cause notice is issued. Step 3 Compliance Notice: Queensland litter laws allow authorised officers from council and the Department of Environment and Heritage Protection (DEHP) to issue compliance notices for illegal dumping. The compliance may require the offender to collect, transport, store, treat or dispose of the waste and ensure that the person responsible does not impose a cost to the council and ultimately rate payers for the waste to be cleaned up. Step 4 Wait for Response: If a person is issued with a compliance notice and they are not the person that is responsible, they can complete a statutory declaration within 28 days of receiving the notice and declare the person responsible for the offence or that the vehicle had been sold at the time the incident occurred. Step 5 Fine: If a person fails to comply with a direction to remove waste, they will face an on the spot fine and/or prosecution. Queensland's Waste Reduction and Recycling Act 2011 provides everyone with the ability to report littering and illegal dumping associated with a motor vehicle, trailer or vessel. If you witness a person littering or illegally dumping waste from a vehicle, trailer or vessel, report it to the Department of Environment Heritage and Protection (DEHP) and complete a report form on their website. Your report will be investigated and a penalty infringement notice may be issued to the registered owner of the vehicle if there is sufficient evidence. The new laws deem the registered owner of the vehicle to have committed the offence in the first instance - even though the actual offender may be someone else. To safeguard the rights of vehicle owners, if the registered owner was not the person responsible, they can complete a statutory declaration within 28 days of receiving the fine and declare the person responsible for the offence or that the vehicle had been sold at the time the incident occurred. Contact council's Customer Service Centre and lodge a complaint which will then be directed to an Environmental Health Officer to investigate. Due to legislative requirements, more evidence may be required to further pursue the matter (i.e. details mentioned above have not been provided). As a result no further action will be able to be taken, it is very important that if you are able to provide council with further details, you do so. The complaint has been passed to council's Maintenance Service crew. Action has been taken against the offender. The alleged offender has been issued a warning letter. If you would like further information about litter and illegal dumping please visit the Department of Environment and Heritage Protection website. For information about council's waste collection and landfill services please contact council's Customer Service Centre or council's Waste and Recycling page.